Hi, I am curious as to whether it was year, model, or option that determined whether the air dams installed on 86-93 240s were black plastic or matched the color of the car. Anyone know? Last edited by districtmotors; 12-29-2018 at 10:56 PM..
Last edited by GeneralBurrito; 12-29-2018 at 11:33 PM.. I am starting to think the 90-93 DL run had all black and the color was a feature of the GL models here in the USA prior to 90. My 91 Base model has a body color air dam. My White 1992 GL has a black one. Maybe this was something that was painted at the dealership? A normal black one is not painted. That it's natural look. My 93 245 had a black one. I was thinking it was related to the color (either metallic vs. non-metallic, or that might cover all the two stage paints). My white '92 240 has a black one and my shell white '87 240 DL had a black one. Yeah, still perplexed. All I do know is that my 1990 will soon have a black air dam I pulled off an 87 on it. 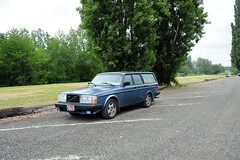 Officially, Volvo called the 1978-79 GT style spoiler an "air dam", and the 1980-on snowshovel style was called a spoiler. Thank you! I have been dying to know this! 1992-93 had black no matter what. So a 1992 like this(spoiler) was likely repainted, or something depending on manufacturer date ? Last edited by Otto Mattik; 01-09-2019 at 04:21 AM..
Yup. google image search agrees. 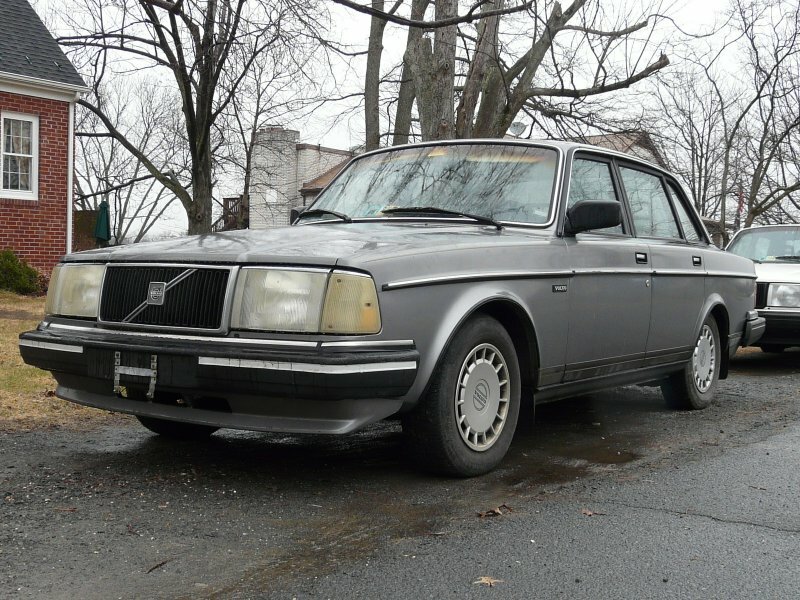 Seems to me like only metallic and white cars ’81-91ish have painted airdams. After ’91 or ’92 they’re all black plastic. A quick look at 240’s ’81-93 for sale confirms this. 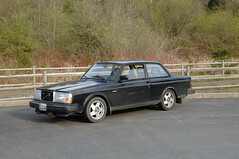 Generally it also made a difference what the trim level was. An early 80s commando bumper DL could have nothing or a small plastic extension. It wasn't quite a spoiler but was attached to the bumper and made it look finished. Where as a GL or GLT would all have the spoiler commando type. Those all seeem to be painted car color. My 81 and 82 turbos are car color. My 93 wagon is black. I think it was with the proliferation of the plastic covered bumpers that the spoiler painting scheme became as described in the above posts. What at lot of folks forget is much of the 240 improvements were on the 260 series and then moved to the 240 platform. The bumper spoiler is one example on the commando bumper cars and also the four rectangle headlight setup with coffin hood. 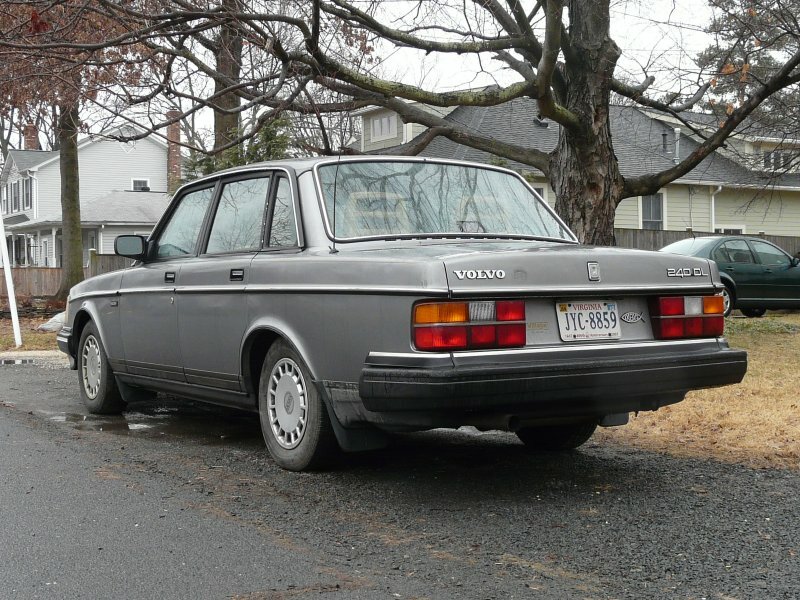 That started on the 260 series and was moved to the 240 cars in 1981.